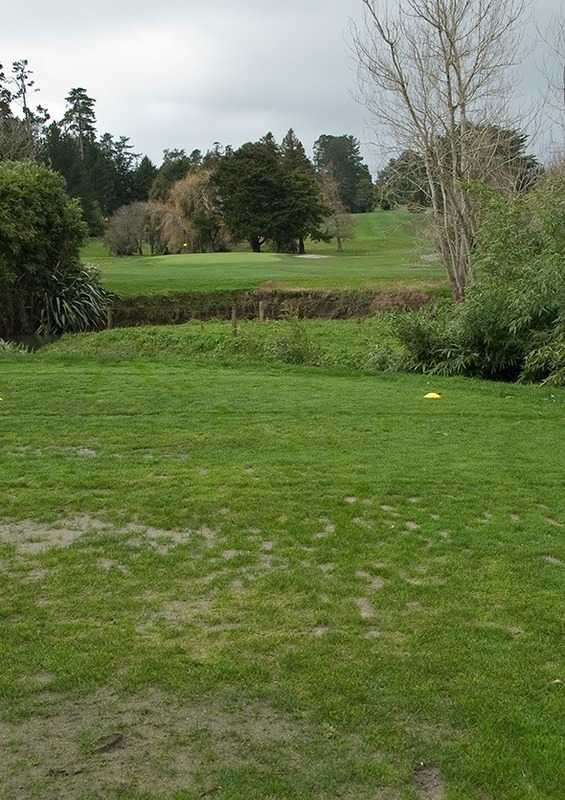 Long and flat, with intimidating tee shot through a gap, from a loop of the creek, over another loop, which is part of the out of bounds, also running down the right side. 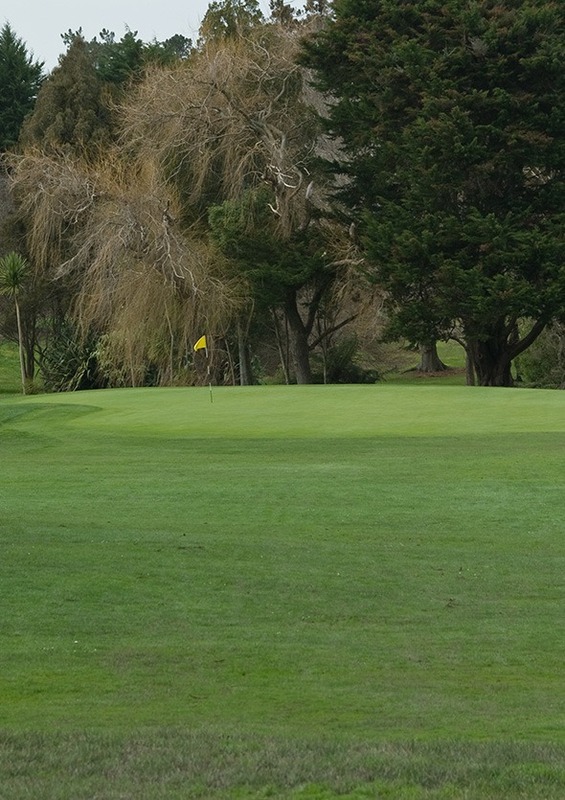 Lake tucked close to the left side of the up-sloping green. 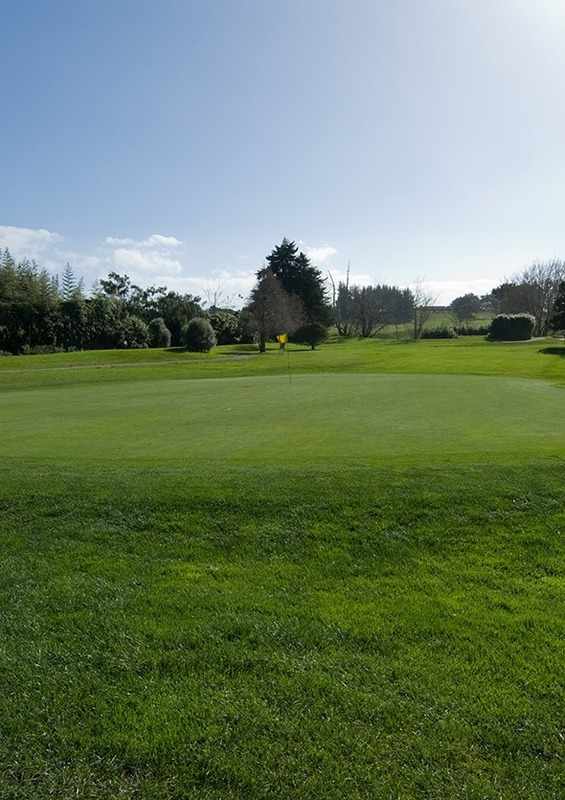 Miss on the right, for a character-building pitch over a shallow bunker, towards the lake.